HIV outbreak among people who administer drugs in Indiana from 2011 to 2015 could have been prevented if the state’s top health officials had responded sooner on warnings, reports a new study. 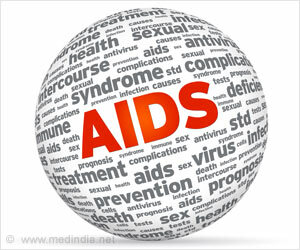 The findings of the study are published in the journal The Lancet HIV. The found that the number of HIV infections could have been drastically reduced in Indiana’s Scott County and that the state’s belated response in March 2015 came after the peak of the epidemic, likely have little effect on its trajectory. “We used publicly available data on the outbreak to recreate it in a computer simulation,” said Gregg S. Gonsalves, assistant professor of epidemiology and the study’s first author. “Once we had recreated the events in Scott County, we could examine what would have happened if a response to the threat had been initiated earlier.” The study points out that rapidly growing opioid use in Indiana and a hepatitis C outbreak spurred local public health leaders to recommend the establishment of syringe exchange and other programs to prevent HIV transmission several years before the Scott County outbreak, although their recommendations were rejected by the state. “Our findings suggest that with the earlier action the actual number of infections recorded in Scott County 215 might have been brought down to fewer than 56 if the state had acted in 2013, or to fewer than ten infections if they had responded to the HCV outbreak in 2010-2011. Instead, they cut funding for the last HIV testing provider in the county,” said Forrest W. Crawford, associate professor of biostatistics and ecology and evolutionary biology, and the paper’s senior author.